The word apocalypse means revelation. It implies an unveiling of something already present only hidden. It has nothing to do with tragedy or some cataclysmic end of our world. In this blog post and the next, I will propose and present what I will call a revelation of light, of angelic light, the Light of the One we each and altogether are and differentiate into its many colors of expression and culture on Earth. I will call that One the “Archangel” by reason of the collective and diversified nature of the One. To recap a bit on the theme of this blog series, in their collaborative book The Reincarnation of Edgar Cayce—from which I have been excerpting passages in this series—Wynn Free and David Wilcock present a scenario that has Earth and her inhabitants making a “dimensional shift” to a “Fourth Density” within the cosmic context of the Milky Way Galaxy. 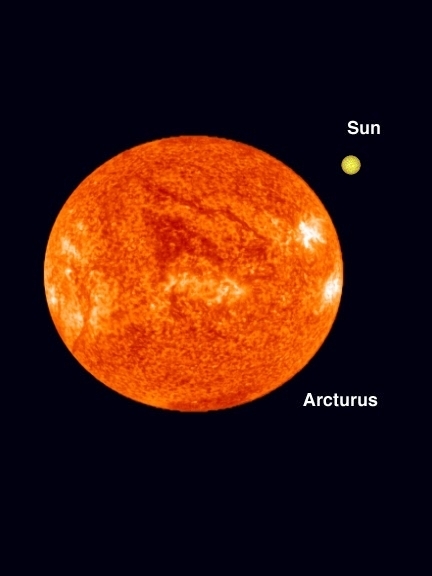 This is what all the excitement is about as we approach the Winter Solstice of 2012, the end of the Mayan Long Count Calendar and the beginning of the Age of Aquarius, the cycle upon which Wilcock bases his cosmology. According to Wilcock’s extensive research, we are at the end of a 75,000 year “planetary cycle,” which is divided into three shorter 25,000 year planetary cycles. We are moving forward into the fourth 25,000 year cycle, and radical changes are a foot and at hand for the planet and all its inhabitants. As Wilcock’s prophecies see our future and the cycle now unfolding, this dimensional shift from a third-density to a fourth-density planet entails a radical transformation for human beings and the planet upon which we live. 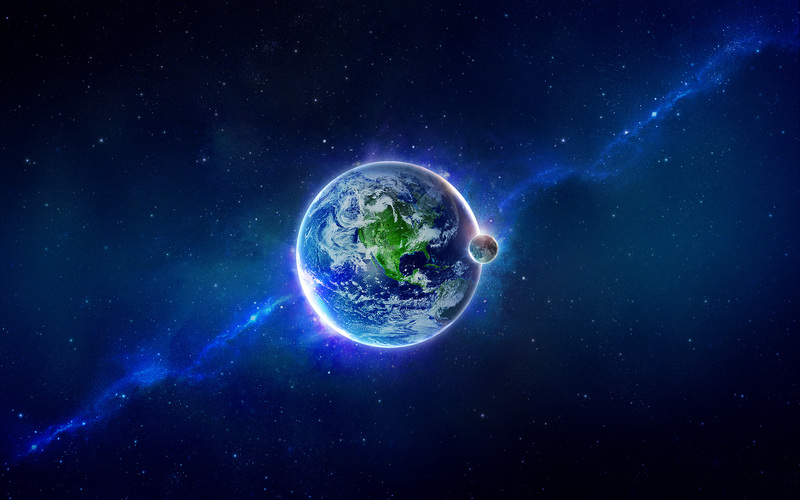 In order to be able to live on Earth after the planet makes its transition and dimensional shift, our bodies need to shift to a higher vibrational frequency, since a third-density body will not be able to survive on a fourth-density planet. Since our bodies and world arise out of consciousness, ascension of human consciousness is the first order of business. From my perspective, that has been happening for the past hundred years at an accelerated pace as spiritual emergence has erupted in human experience. It is as though spirit beings from higher dimensions have indeed incarnated on earth for the sole purpose of lifting human consciousness to a higher density and level of awareness. Human flesh itself is being given the opportunity to ascend to the Fourth Dimension. In a word, our incarnating capacities are thinning out, becoming less dense and, therefore, more transparent, allowing for the revelation of angelic light through human flesh. However, once we understand what is happening to us, we don’t need to be afraid of it. When the Earth fully moves into the fourth-density energy, we will naturally he transported into a higher level of our own being. Our physical body becomes irrelevant at that point. We are much more than that. If you’re very attached to your physical body, you might say, “Well, what would I be without it?” You might see this as traumatic, but in fact your experience could be looked upon as Soul graduation. People are saying, “I’m doing my spiritual growth. I’m doing my path. I’m walking in my truth. I’m trying to grow spiritually, I’m trying to evolve.” Evolve into what? Grow to what? Are you just going to keep reincarnating over and over again as humans? No. Is the Earth going to remain in this vibrational level where human beings will blow up bombs, poison its waters, pollute its atmosphere, kill its creatures, and cut down all the trees? No. The Earth is not expected to go through this. The Earth is an evolving being, too. The difference with the Earth, unlike a regular human lifetime, is that it goes through a very premeditated, very obvious course of its evolution. As it orbits around the Sun, and as the solar system orbits around the galaxy, the extraterrestrial races that are in higher dimensions know exactly when these changes are going to happen. That’s why they’re here now, because basically they’re aware that this is going on and are standing by to assist us. For those who are ready to handle the vibrations, their physical bodies will be transformed into a higher density of vibration when the moment of change arrives. So it’s not as though there’s going to be all these fried corpses lying around. When the energy hits you, you transform. Your body will actually transmute itself, like what happened to Jesus—Ascension. There is a parallel in the Shroud of Turin, where certain researchers have found that Jesus’ body burned a complete three-dimensional image of itself into the cloth. And they found through experimentation that such a burn could only be caused by an instantaneous blast at a very high temperature, “zapping” the cloth like an X-ray film. Each of us has the choice to create our lives so that we may participate in the Utopian world that will manifest on Earth after this Ascension process has completed—a world without poverty, hunger, or pain; a world where full-body levitation, spontaneous healings, instant telepathic communication, and abundant Love are the law of the land. The energy “hits us” from within, not from without, from above not from below—as above so below, as within so without. The energy shift of our natural world and planet will make it possible for our bodies to sustain their vibratory shift, transmutation and transparency. With conditions as they are now vibrationally, and have been for millennia, those who have gone through a process of ascension, including Jesus, could not remain in this third-density world. Nor could they ascend into higher dimensions with their third-density bodies. Their bodies transmuted from one level to the next as they ascended up and out of sight of those who stood around, such as Jesus’ disciples. Jesus was said to have “parted from them and carried up into heaven” by the apostle Luke (24:51). He went into a vibratory level that could not be penetrated or perceived by the lower levels of energy, as the higher densities of energy penetrate the lower, but the lower densities cannot penetrate the higher. Another way this was put is: “And the light shineth in the darkness, but the darkness comprehended it not.” Again, we cannot grasp these things with our third-density human minds. Only with our hearts, which perceive spiritual essences because the heart is of a finer vibratory substance. Welcome Sudan and Moldova! Welcome Bosnia! And Costa Rica! And Poland! Welcome all! Sumarian scholar Zecharia Sitchin, author of The 12th Planet, Stairway to Heaven, and more recently The End of Days, writes that there is no evidence that the Pyramids of Giza were tombs for the pharaohs and, furthermore, that they were rather healing chambers used to concentrate aetheric energy. 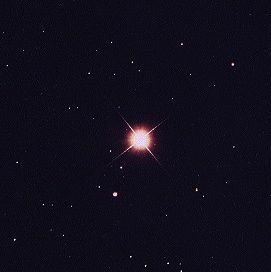 It was Sitchin who first published research in 1976 about the Sumarian origins of the human race and Nibiru (Planet X), home planet of the Anunnaki, the alien creators of the human race—a fascinating and timely topic in itself, what with all the current speculation and doom-saying over the foreboding return of this “Dreaded One.” It is rather bizarre, if not significant, that Sumeria lies just above the Persian Gulf in the midst of Middle East turmoil—but that’s another topic. Author Wynn Free notes in his recent book The Reincarnation of Edgar Cayce that “Napoleon was said to have spent a night in the Great Pyramid. When he emerged, he was reportedly ‘pale and dazed,’ and when questioned about his experience he replied, ‘You wouldn’t believe me if I told you. '” Something extraordinary happens to substances that spend the night, or even days, in pyramids. THE RUSSIANS HAVE THEM? WHY DON’T WE? The short answer to that question is money. As my good accountant friend David Waskom keeps reminding me from time to time, “Nothing happens until money says it happens.” A case in point is when Ciba-Geigy, makers of chemical fertilizers, found out through their own research project that seeds placed between two metal plates and zapped with a weak DC current for three days as they germinated could be caused to rewrite their DNA—essentially what happened in Dr. Golod’s pyramid experiments we’re about to consider—and be reverted back to a much older and stronger variety of wheat that could be harvested in four to eight weeks instead of the “normal” seven months. Essentially, they foresaw their profits on sales of fertilizers evaporating and the ultimate demise of their business. They abandoned the project altogether, never minding the deprivation of food to the starving in third world countries. Fortunately the original research papers where not lost. It didn’t happen because money said it wouldn’t. I’m here to help see that this changes, never mind the money! This is why I write these blogs. In 1990, Russian scientist and defense engineer Dr. Alexander Golod began building large pyramids within Russia and the Ukraine. By 2001 seventeen pyramids had been built in eight different locations. By the summer of 2010, more than fifty pyramids have been built worldwide, with the majority still in Russia and the Ukraine. Breathtaking studies have come out of this project which were first published for the Western world by Dr. John DeSalvo in 2001 on his Giza Pyramid Research Association Website. Immune system of organisms increased upon exposure in the pyramid (Leukocyte composition of the blood increased). Also increased regeneration of tissues. Russian medical scientist Dr. N.B. Egorova, head of a Russian Academy of Medical Science group, gave two groups of normal white laboratory mice strains of typhoid fever viruses and placed one group in a pyramid for a period of time. Amazingly, 60 percent of the pyramid group survived compared to 7 percent of the control group. Even when given lethal doses of the virus strain, 30 percent of the pyramid mice survived as compared to 3 percent who were unlucky enough to be in the control group. Agricultural seeds placed in the pyramid for 1-5 days showed a 30-100% increase in yield. Russian Military radar (locator) spotted an energy column rising several miles high in the sky above the 22m Lake Seliger pyramid. Several months after this pyramid was built, the Ozone layer improved in the atmosphere in Russia. Areas near the pyramids seem to have diminished seismic activity. Instead of one large powerful earthquake occurring, there are hundreds of tiny ones. Also violent weather seems to decrease in the area of the pyramids. 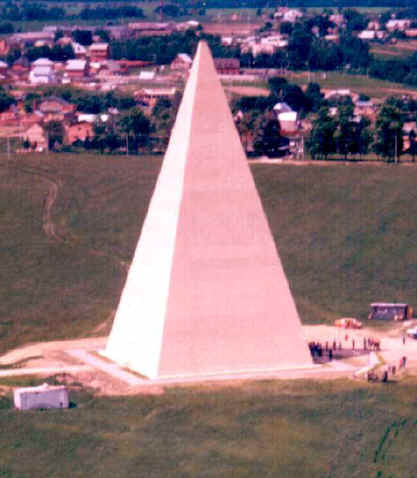 A pyramid complex was built in an oil field in Southern Russia (Bashkiria). The oil became lighter (less viscous) by 30% and the yield of the oil wells increased. These results were confirmed by (Gubkin) Moscow Academy of Oil and Gas. Newborns were given solutions that had been placed in the pyramid and their health indexes increased greatly. Experiments with about 5000 people in jails in Russia showed that in a few months most crimes almost disappeared and behavior was much improved. This was attributed to the salt and pepper added to their food which had been placed beforehand in the Pyramid. This phenomenon also occurred in jails in which marble slabs that had been “treated” in pyramids were placed randomly in an around the jailhouses. The potency of pharmaceuticals increased with decreasing side effects. There is an increase in survival of cellular tissue infected by viruses and bacteria – The pyramids decrease the strength of various viruses and bacteria. Changes in superconductivity temperature thresholds and properties of semiconductors and carbon materials. Ordinary water does not freeze even at 40 degrees below zero and retains its properties for years. Synthesized diamonds turn out harder and purer. It is interesting that the results seem to show that increasing the height of the pyramid increases the quality of the results. Dr. Uri Bogdanow, from the Scientific and Technological Institute of Transcriptions, Translation and Replication, conducted the following studies in some of Golod’s smaller pyramids. Bogdanov and his associates found that rabbits and white rats became 200 percent stronger in their endurance, and their white-blood-cell counts went up. This discovery has obvious implications for professional sports. Such performance enhancements do not cause any of the damaging effects we see from the illegal use of steroids—in fact, those athletes would get healthier from the treatments. If the reality of this pyramid power were to spread, with national prestige and millions of dollars of endorsements at stake, what country wouldn’t want their Olympic athletes enjoying the benefits of these effects—not to mention all the other professional sports teams fiercely competing around the world? A team from the All-Russian Electrotechnical Institute in Moscow found that if they took seven one-hundred-gram chunks of granite that had been stored in the pyramid and arranged them into a one meter circle, that area was 5,000 percent less likely to be struck by lightning. They were able to confirm this by putting the granite on a flat, metallic plane, with an electrode that would discharge one thousand, four hundred kilovolts of power overhead. Normally, when they turned on the juice for a short time, there was a good chance that the electrical current would “arc out” and form a lightning bolt-striking the metallic plate and creating a nasty burn mark that melted right through. Over the course of one hundred different discharges, the circle of pyramid granite proved to have a remarkable effect on protecting the inside area from lightning strikes—there were five times fewer eruptions, which again is 5,000 percent. Remember the five-hundred-meter-wide column of energy that formed around the pyramid, as well as the much larger three-hundred-kilometer circle—which would have taken all the energy from Russia’s power plants to form? Apparently this enormous column doesn’t just sit there doing nothing—it actively deflects storms and severe weather from the area around the pyramid.” Incredibly, incoming storms go around this whole area, not through it. Imagine what this technology could do for areas that were prone to being destroyed by hurricanes. The cost of building pyramids could be much, much less than the expense of rebuilding from inevitable hurricane damage. Yet another series of observations further added mystery and intrigue to the puzzle. The three-hundred-kilometer column of energy just mentioned had appeared around a twenty-two-meter pyramid that was built on Seliger Lake. Several months later, the ozone hole that had been sitting over that area substantially improved. As time went on, new streams of water appeared in the surrounding countryside. A stork felt comfortable enough to set up a nest. And most amazingly, the fields became covered with Bowers that shouldn’t even exist—as they were supposedly extinct. In short, the land was renewed, healed and transformed—suggesting that the life-giving energies harnessed by the pyramid had a significant effect upon everything around them. that we completely ignore the power of a cheap, easy-to-build technology that could save the earth? Visit my other Health Light Newsletter blog at LiftingTones.com for an inspiring meditation on Seven Glands for Seven Spirits. There are now 68 countries visiting my blogs: ALBANIA, ARGENTINA, AUSTRALIA, AUSTRIA, BAHAMAS, BANGLADESH, BARBADOS, BELARUS, BRAZIL, BULGARIA, CANADA, CHILI, COLOMBIA, CROATIA, CZECH REPUBLIC, ECUADOR, EGYPT, FINLAND, FRANCE, GEORGIA, GERMANY, GREECE, HONG KONG, HUNGARY, ICELAND, INDIA, INDONESIA, IRELAND, ISRAEL, ITALY, JAMAICA, JAPAN, LATVIA, LITHUANIA, KUWAIT, MEXICO, MALAYSIA, NETHERLANDS, NEW ZEALAND, NORWAY, PAKISTAN, PERU, PHILLIPPINES, PORTUGAL, PUERTO RICO, ROMANIA, RUSSIAN FEDERATION, SAUDI ARABIA, SERBIA SPAIN, SINGAPORE, SLOVAKIA, SLOVENIA, SOUTH AFRICA, SYRIAN ARABIA, REPUBLIC OF (SOUTH) KOREA, SWEDEN, SWITZERLAND, TAIWAN, TANSANIA (UNITED REP. OF TZ), THAILAND, TRINIDAD AND TOBAGO, TURKEY, UNITED ARAB EMIRATES, UNITED KINGDOM, USA, VENEZUELA, ZIMBABWE. Not very long ago I saw, on a television program like NOVA or National Geographics, the most intriguing scenario of Moses’s flight from Egypt and Pharaoh’s hot pursuit of him just after he had left Egypt with the Israelites. As the scenario went, it seems that Moses, who was well trained in ancient Egyptian technology, made off with the key piece of technology that converted cosmic solar energy into electricity in the King’s Chamber of the Great Pyramid of Giza. The pyramid itself was an electrical plant that gathered solar energy, and the key mechanism for transforming that energy into electricity and transmitting it was none other than the Biblical “Ark of the Covenant.” The research shows where there were tunnels underneath the pyramid through which water flowed, possibly as a cooling bath for hot equipment or to generate hydroelectric current as well. It also showed that the Egyptians used light bulbs of sorts and even powered industrial and commercial engines to drive machinery and ships remotely. In fact, the entire city depended on this electricity generated by pyramid power and, without the central arc-producing mechanism, Egypt was left in the dark and without power. Thus Pharaoh’s hot pursuit of Moses in the desert to retrieve the Ark of the Covenant. Now, while I’ll admit this is a preposterous scenario of a well known Biblical event, it’s not nearly as preposterous and unbelievable as what I’m about to present in the next few blog posts. So, hold onto your hats. The technology used to build this structure far surpasses anything known and used today to build skyscrapers. Just the laying out and leveling off of its bedrock foundation required architectural skills unmatched by today’s standards. No corner of the Great Pyramid’s base is more than a half-inch higher or lower than the other. The limestone casings were carved to fit so tightly together on all six sides that the spaces between them measured one-fiftieth of an inch, narrower than a human fingernail, and were filled with a mortar so strong that the limestone block would itself break before the cement would give if one were to smash the casings with a sledgehammer. There is no known cement or method in masonry today that could even come close to accomplishing such a feat. A series of earthquakes in 1356 that leveled areas of northern Egypt also shook the pyramid so hard that many of the casing stones broke off and slid down into a heap around its base. These pieces were hauled away and used to rebuild Cairo, and what casings didn’t get shaken off by the earthquakes were broken off and hauled away to be used in building mosques and palaces in Cairo and the new capital of El Kaherah. But that’s just half the story. . .
One final unexplained dimensional fact: the height of the Great Pyramid (5,449 inches), is equal exactly to the average height of land above sea level on earth, with Florida as the lowest level and the Himalayas as the highest. With all of these features, one is led to believe that the “ancients” who built this phenomenal structure were beings with a highly advanced knowledge of a technology yet unknown to modern scientists, and were likely from outer space to have known some of the data discovered. THE “KING’S TOMB” . . . OR WAS IT? The sarcophagus is also made of the same hard granite, yet it has round holes bored into it by drills that had to have had diamond tips, as soft copper was the only metal available at that time. It is too large to pass through the portals of the chamber, so it had to have been constructed on site. It has groves for a lid but there is no lid in sight, suggesting that it was not built to be a tomb for the king. Perhaps it was used more as a preservative vault to mummify corpses, as experiments with dead animals later proved could be done in pyramids. We’ll talk about this in the next post. Then again, in keeping with the scenario of Moses’s alleged theft of the Ark of the Covenant, the sarcophagus may well have been exactly where the ark was positioned in this strategical “King’s Chamber” of the electrical generating pyramid—in which case the ark had to be small enough to take it through the portals of the chamber. There are a number of measurements in and around the Great Pyramid that point to future celestial events and record certain planetary dimensions. The calculations made by Colonel Vyse and John Perring in 1840 opened a phase of study known as “Pyramidology.” A skilled mathematician and amateur astronomer in Egypt by the name of John Taylor took Vyse’s data and applied mathematical and geometric formulas he found hidden in the data to planetary and astronomical events. Here are a few of them. This I resonate with and will expand upon. I would suggest that the Great Pyramid was build complete and that its design purposefully included an invisible capstone to represent Man in his original state of divinity—the Golden One. It may well have represented the LORD of Lords, who incarnated two-thousand years ago in the Master Jesus and whose earth this is, along with “the fullness thereof.” It is reported by some that Jesus visited the Great Pyramid during his so-called “missing years.” It may also and more specifically stand for the Priesthood, to use an archaic term, those divine beings—perhaps the Elohim who created this world—who represent the LORD to this universe in which we live and have our being and, in return, this universe to the LORD. 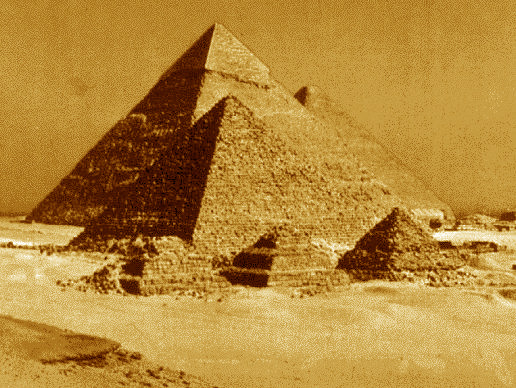 If indeed the six-sided object represented something imperfect to the Egyptians, then perhaps it was only in the sense that without Divine Man’s presence in the Earth, the invisible capstone is absent the Presence of the LORD and therefore the pyramid became imperfect and incomplete with the “Fall,” when human consciousness separated itself from Divine Consciousness and mankind fell from its spiritual identity down into its present state of material identity. This I believe to be the true significance of the invisible capstone. Reference: David Wilcock, The Source Field Investigations—The Hidden Science and Lost Civilizations Behind the 2012 Prophecies, 2011. There are 61 countries visiting my blogs: ALBANIA, ARGENTINA, AUSTRALIA, AUSTRIA, BAHAMAS, BANGLADESH, BARBADOS, BRAZIL, BULGARIA, CANADA, COLOMBIA, CROATIA, CZECH REPUBLIC, ECUADOR, EGYPT, FINLAND, FRANCE, GEORGIA, GERMANY, GREECE, HONG KONG, HUNGARY, ICELAND, INDIA, INDONESIA, IRELAND, ISRAEL, ITALY, JAMAICA, JAPAN, KUWAIT, MEXICO, MALAYSIA, NETHERLANDS, NEW ZEALAND, NORWAY, PAKISTAN, PERU, PHILLIPPINES, PORTUGAL, PUERTO RICO, ROMANIA, RUSSIAN FEDERATION, SPAIN, SINGAPORE, SLOVAKIA, SLOVENIA, SOUTH AFRICA, SYRIAN ARABIA, REPUBLIC OF (SOUTH) KOREA, SWEDEN, SWITZERLAND, TAIWAN, THAILAND, TRINIDAD AND TOBAGO, TURKEY, UNITED ARAB EMIRATES, UNITED KINGDOM, USA, VENEZUELA, ZIMBABWE.